Blogging is not as reliable way of making money online. No matter the ad programme you are using , it is still not reliable. I have started blogging for quite some years now, the earning keeps depreciating as if no work is done. In the consequences of the above, not that people are not visiting your blog, but poeple are there reading your work without earning you a penny. These are work of scamming! The irony of the ordeal is that the ad programmers want to show ad impressions on your blog just like that without wanting it been clicked, preventing it from been clicked and even if clicked maybe questioned. This is like telling someone to come and eat and holding his or her hands. Now, tell me, how will you be satisfy in this manner? Further more, the most challenging aspect of the matter is C.P.C. [ Cost Per Click ]. It flunctuates like weather. It is never static! Now, how do you want to make it here? Worse still, you can even have a negative C.P.C. Imagine, how do you even make both ends meet here? Not that alone, consider the disproval you went through earlier on. Now that you are fully approved, how far have you gone? I think something is wrong. No matter the originality of the content , at the end of the day you still earn zero with about minimium of five hundred page views. Where are your earning going? Are you are not running at loss with your internet subcription? Conclusively, blogging is not best reliable business online. If you do not want to hire clickers or manipulate clicks. It is not encouraging and sometimes annoying since it is a three persons transaction. The three persons involved are the publisher ( blogger ), advertiser and advertising programmer. It is whatever they show on your revenue table that you will accept. It is not a physical transactions. Even still your website can be hacked or spam. Young technobloggers beware and look elsewhere! Anyway, it is nice to try something new. To be successful and making money online can be quite hard, especially if you are looking to monetize your blog solely via ads. To be a successful Adsense publisher you need a lot of traffic but you also need that traffic to engage with the ads that are being displayed on your site. 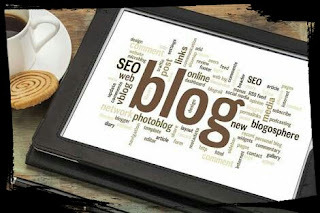 In the world of blogging, you can either write articles that will compete for clicks that will pay a few cents or you can be strategic and write content that will pay the big huge which is sometimes brainstorming task . The adsense CPC that you get paid will be contingent on the topic that you choose to write about. If you are serious about making money online with Adsense and building a successful business, I suggest you target these top paying keywords and industries.